Prime Minister Imran Khan emphasised Pakistan’s “close and cordial” relations with Malaysia in a phone call on Thursday with Malaysian Prime Minister Dr Matahir Mohammad, Radio Pakistan reported. PM Khan, highlighting the “need of high-level bilateral exchanges” between the two countries, said that Pakistan and Malaysia should collaborate at an “operational level” so that they could benefit from each other’s expertise. According to Radio Pakistan, Dr Mohammad accepted PM Khan’s invitation to visit Pakistan and also invited him to visit Malaysia. 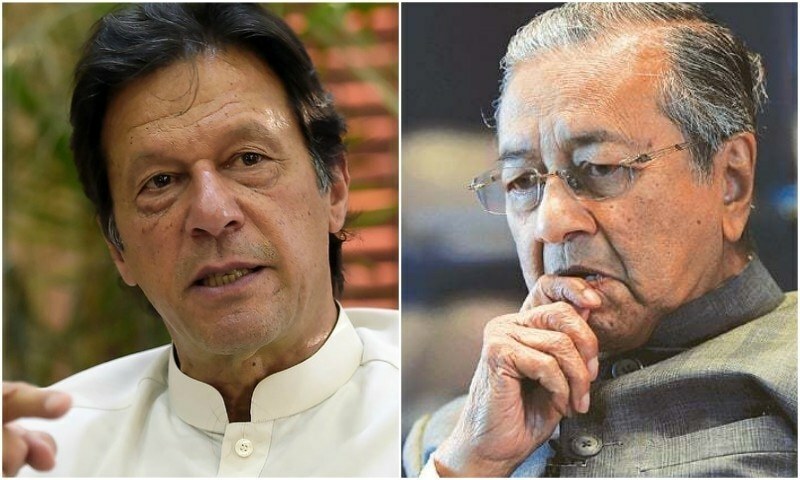 The Pakistani prime minister congratulated his Malaysian counterpart for the Pakatan Harapan coalition’s success in Malaysia’s general election and “appreciated Prime Minister Mahathir’s vision for Malaysia’s steady economic progress”. PM Khan added that Pakistani government and people have “immense respect” for Matahir as a “statesman and global leader”. Reciprocating PM Khan’s sentiment, the Malaysian prime minister congratulated him on PTI’s victory in the country’s election, Radio Pakistan reported.